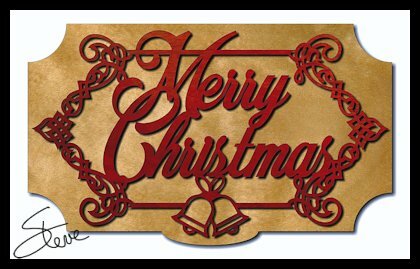 Christmas Sign Scroll Saw Pattern. Fretwork Merry Christmas Sign. The sign is 10.5 inches long and 6.4 inches tall. 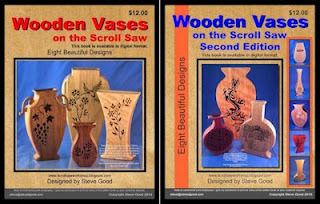 I want to thank all of you who nominated me for the Woodworkers Guild of America Blogger Award. 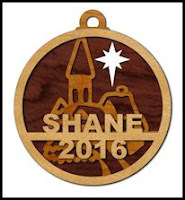 Nominations are still open if others would like to add a nomination. The category for my nomination is "Best plans and project blog". 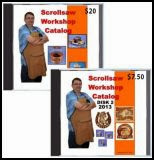 The URL is scrollsawworkshop.blogspot.com. You can just copy and paste the URL into the text box on the form. You can only nominate once. 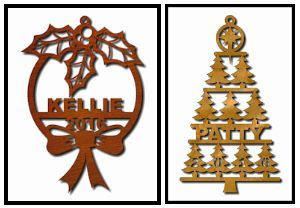 I am currently caught up on Custom Christmas Ornament Pattern orders. The response has been great. I am getting the orders out much faster this year. Two reason. I have more time since I'm now retired and I have automated some of the process. If you receive your order and see that a correction needs to be made just email me. I'm happy to make changes. I copy/paste the names directly from the order form to reduce errors so please check your spelling before you submit the form. Thanks for all the orders. 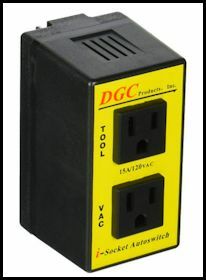 I own a couple of these and they work great.